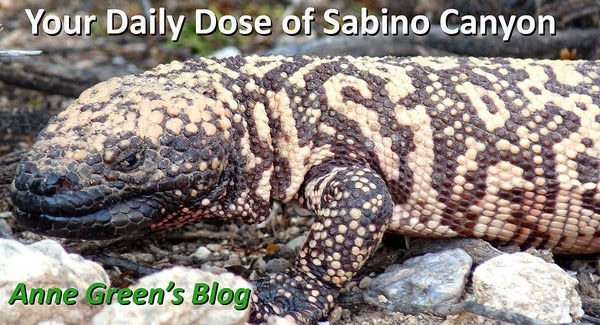 Blooming now in Sabino Canyon (and all over town)! You probably have these coming up in your yard. Click on the slide for a larger view and note the developing fruits in the photo on the right. The long, slender things protruding from the flowers in the middle are developing fruits. Developed fruits are below. Each fruit contains dozens of seeds. You will likely see flowers AND fruits (in various stages of development) on most of the mustards. 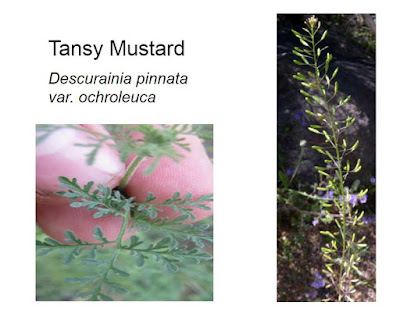 This mustard species has nifty foliage at the base, where you'd expect to see it. Note all the fruits along the stem in the photo on the right. Not as long as the fruits from the species above, but very plentiful! 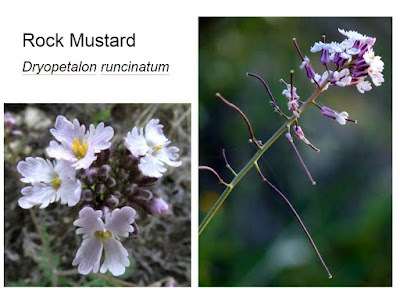 Rock Mustards are one of my favorites. Note the four-petaled flowers. The petals are interestingly scalloped, too. If you look closely at the fruits in the photo on the right, you'll notice the spiral-staircase pattern. Pretend you're a tiny person and jump from fruit to next nearest fruit. 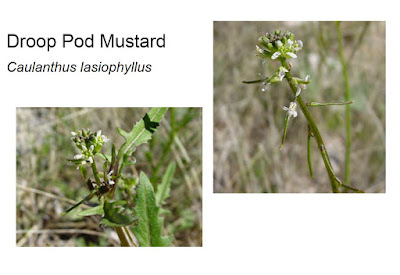 Tomorrow's mustards will show this more clearly.